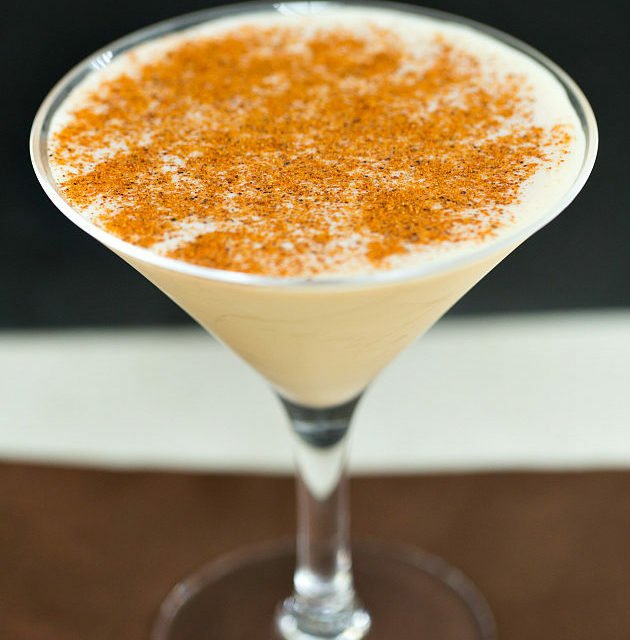 Another great Christmas cocktail: Brandy Alexander. I don’t drink a lot of cocktails and I don’t have a sweet tooth but there are certain ones I do like and this is one of them. I also like the idea of ‘Liquid Desserts’ and on my menus over the years I have put them on and this has always been one of them. Dead easy too. In a cocktail shaker place ice and equal amounts of Brandy, preferably Kahlua but if not, Créme de Cacao/Tia Maria! and cream. Shake, strain and pour into a cocktail glass and dust with nutmeg.